As keen owners are rigorously managing social profiles on behalf of their beloved furry companions, tracking the mileage on pet passports proves to be an incredibly interesting endeavor. Travel company Canvas Holidays looks into the most popular “jet set pets” on Instagram to create a profile of the journeys and deduce which canine companion has traveled the farthest. 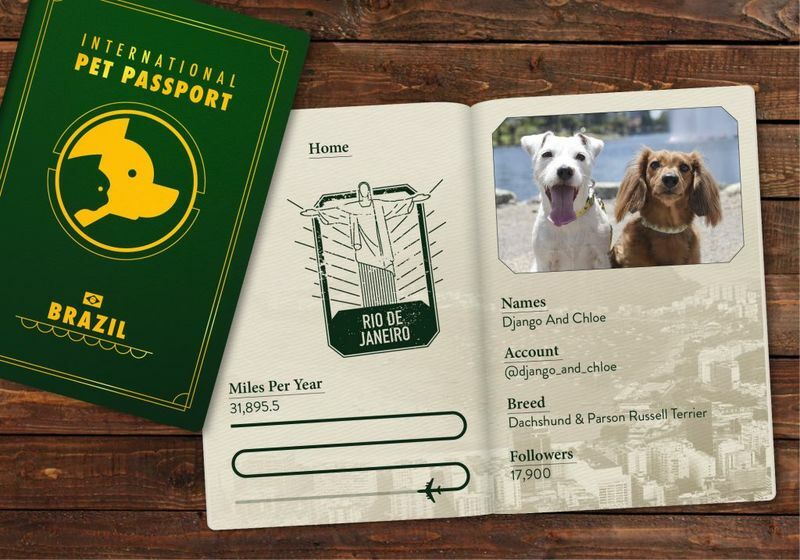 At first place is Django And Chloe (@django_and_chloe) who have used their “pet passports” to travel 31,895.5 miles per year. Closely following in second place are Max and Louis (@max_et_louise) who are at 31,367 miles.